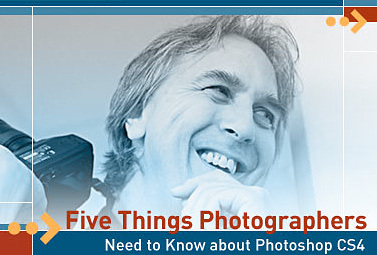 Photoshop CS4 introduced some great new tools for photographers. I've put together a live presentation where I show you some of my favorite new features. This online event airs on Tuesday, Dec. 16, 10:30am PST/1:30pm EST. It is absolutely free. And if that wasn't good enough, all attendees receive 45-days complimentary access to The Photoshop CS4 Companion for Photographers via Safari Books Online. That means you could download the trial version of Photoshop CS4, access my book, and decide for yourself if this upgrade is for you -- and none of this will cost you a penny. Seats are limited, but you can register right now at this site. After the presentation, I'll have a Q&A session too. It's going to be a lot of fun. 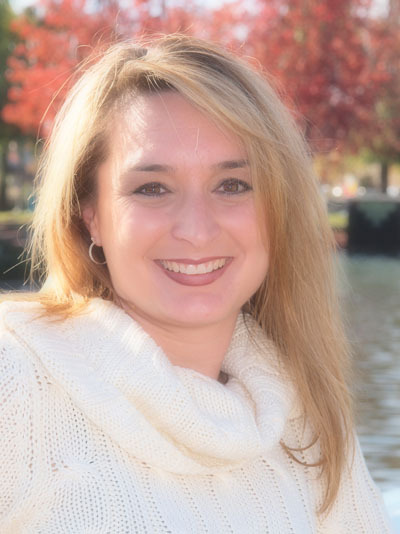 I hope you join me on Dec. 16! I'm constantly yammering about using your camera phone as a data capture device for parking spaces, room numbers, license plates and such. But how about capturing small data, such as business cards and document paragraphs? Well, iPhone 3G users are in luck. A new product from Griffin Technology called Clarify gives you a sliding close-up lens mounted in a durable case. When you want to record small-sized data, such as a business card, just slide the lens into place and take a picture. Unfortunately, those of us with 1st gen iPhones will have to wait until we upgrade. Clarifi isn't available for older iPhones. If someone figures out a hack, be sure to post a comment. Pictures I keep in my camera phone -- license plate numbers for my cars, menus from my favorite take-out restaurants, parking spot numbers, store hour signs -- just to name a few. I know I've talked about it before, but by way of reminder, take a picture of things you want to remember. 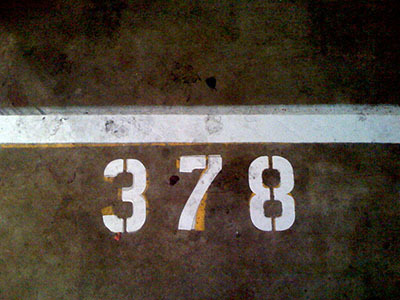 How many times have you had to walk back out to the car to get your license number when registering at a motel? Slightly annoying, isn't it? And what day of the week does that favorite Mexican restaurant close? Well, I know because I have its hours sign as a photo in my iPhone. And believe me, it's a lot faster looking that up than trying to get the restaurant's web site online. The point is, your camera phone can be a helpful second brain. We're visual people anyway. Why not use the great assistant you carry in your pocket every day? Now Available! 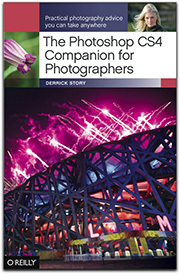 The Digital Photography Companion. The official guide for The Digital Story Virtual Camera Club. The latest version of Adobe Camera Raw (5.2) features some terrific new tools. Two of my favorites are the Targeted Adjustment Tool (TAT) and Snapshots. In this screencast, Snapshots and TAT in ACR 5.2: Photoshop CS4 Companion for Photographers Screencast 5, I demonstrate how darn useful Snapshots are for creating historical bread crumbs while adjusting an image in ACR. If you've ever used Snapshots in Adobe Lightroom, you know that you can save the state of an image as you're working on it, and return to that state whenever you want. I think this allows for more experimentation during image editing, knowing that you can always go back to a particular spot in the process. I also show off the Targeted Adjustment Tool. 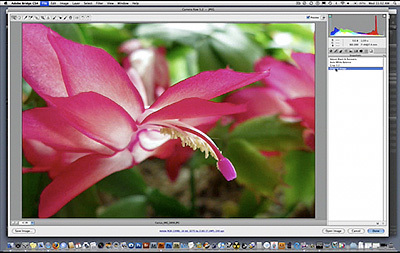 It allows you to click and drag on a particular area of the photograph and target the adjustment for those tones or colors. Many people were excited when this appeared in Lightroom, and now we have it in Photoshop CS4 too. You can learn more by watching the 6:45 minute screencast. One of the reasons that photographers are inconsistent with backing up their images is because they don't have a system. So archiving turns into a housekeeping chore that they do when they "have time." The trick is to create a simple habit for archiving that never fails you. 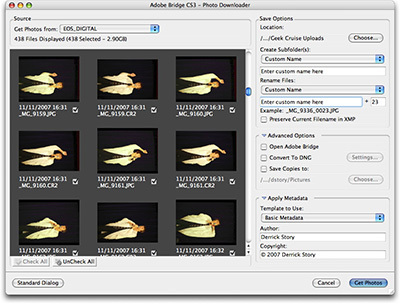 One approach is to use the "Save Copies to:" feature in Adobe Bridge (Photo Downloader) or in Adobe Lightroom. Both applications allow you to backup your masters to an external hard drive while you're transferring them from the memory card to the computer. So, while downloading, your masters are actually going to two locations: the Pictures folder on your computer's hard drive (or where ever you store your images) and to a second backup hard drive. The good news about this approach is that it's easy and you instantly have a duplicate of your "digital negatives." The bad news is that you don't get to add any metadata to the backup images during download, only to the primary pictures. But I do find it comforting to having duplicate versions of every shot I've transferred when I pull the memory card out of the reader. And I never have to worry, "Did I back up that last shoot or not." Fpr more than a year, the Canon G9 has ruled the roost of Raw shooting compacts. Its good lens, great capabilities, and handsome looks have been tough to beat. Leica f/2-2.8 2.5X lens compared to Canon's f/2.8-4.5 5X zoom lens. The Canon has more reach, but the Leica is wider (24mm vs 28mm) and faster. Panasonic's 10.1 MPs compared to Canon's 14.7 MPs on roughly the same size sensor. 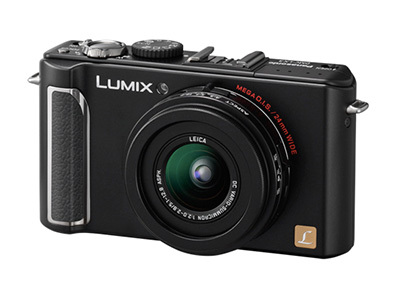 Is it just a coincidence that the Panasonic has better high ISO performance? Panasonic's 265 grams weight compared to Canon's 350 grams. And the Panasonic definitely fits better in the jacket or pants pocket. Panasonic's HD movie capture (16:9, 1280 x720 pixels at 24fps) versus Canon's 640x480 recording. Based on reader reviews and professional reports, the Canon G10 is an outstanding camera. But it is no longer the automatic choice for serious photographers looking for a compact that records in Raw. On its third try, Panasonic has created a gem of a camera with the LX3 -- and by some accounts, a more desirable model than the G10. Post a comment if you've shot with either. Recently, one of our virtual camera club members sent me a note about a Canon EF 70-200mm f/2.8L IS lens that he wanted to sell. I've been looking for a well-kept version of this pro telephoto glass for some time. I have the 70-200mm f/4, and I absolutely love it. But there have been times when I wanted that extra f/stop of light. The f/2.8 is an interesting lens. It's been around since late 2001, so I've wondered if a revision is in the works where it would receive the same 3rd generation image stabilizer that the f/4 version uses, which is good for four stops instead of the three stops of stabilization that the current f/2.8 can achieve. Plus I've wondered if they are going to tweak the optical formula or stick with the successful recipe they've enjoyed for years. Despite these questions, I decided to buy the lens. Even though its owner had used it for a couple years, it was in great shape. The first thing noticed when I mounted it on the Canon 5D body is how heavy the lens really is, especially if you're used to the f/4. The second wave of realization was how sweet f/2.8 is for portraits and fading light -- add to that the creamy boca effect for soft backgrounds, and it's easy to see why this is such a popular lens. Focusing is fast and quiet with the USM motor. But be careful when shooting wide open at 200mm. You can easily make a focusing mistake resulting in a "soft eye" if you get lazy. The image stabilizer works well, though a little louder than the current versions. Plus, there are the included extras: nice case, lens hood, and tripod collar. I've used the Canon EF 70-200mm f/2.8L IS lens for two shoots, and I'm already hooked on it. Normally, it sells for about $1,700 new, with deals around $1,600. But you can find pristine condition used versions for $1,100 - $1,400. It's big, it's heavy; but for portraits, events, and fading light, it's an outstanding zoom. 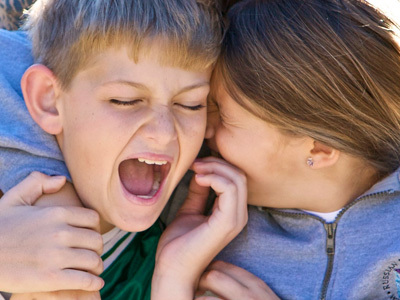 Photo of brother and sister by Derrick Story captured with a Canon 5D and Canon EF 70-200mm f/2.8L IS lens at 200mm, f/4, 1/500, ISO 250, using the spot meter pattern. Next week's podcast will be a holiday gift guide for photographers. I'm recording the show on Sunday and am soliciting ideas from TDS members. Use the Subject for your email: TDS Gift Guide. You can find all the information on where to send you suggestion on our Submissions page. Don't delay! Your great idea could make someone very happy this holiday season. 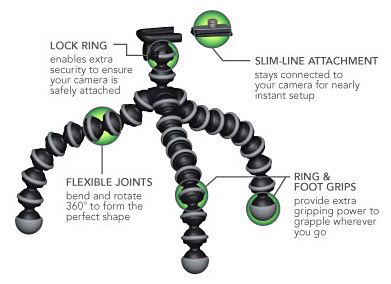 Image caption: The Gorilla Pod is a terrific holiday gift that is affordable and very useful for photographers.